The Department of Art History was featured in the March 2015 edition of the College of Letters & Science In-Focus monthly newsletter. 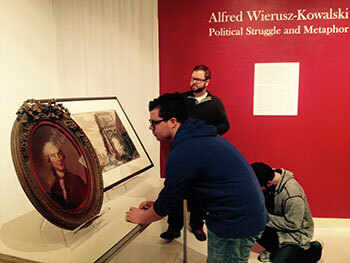 Alfred von Wierusz-Kowalski: Political Struggle and Metaphor opened in the UWM Art History Gallery on Monday, March 23, 2015. 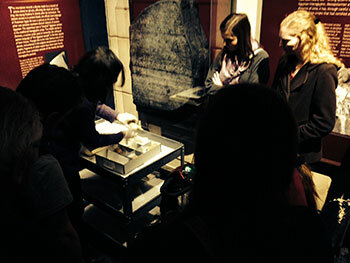 Associate Lecturer Jocelyn Boor’s ARTHIST 499: Ad Hoc: Art and Archaeology of the Ancient Near East course visited the the new exhibit,Crossroads of Civilization, at the Milwaukee Public Museum. This week Assistant Professor Kay Wells’ ARTHIST 102: Renaissance to Modern Art and Architecture discussion sections visited the UWM Art History Gallery to view works from the UWM Art Collection. 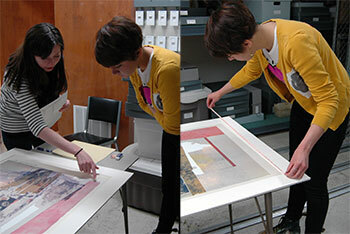 Graduate students in ARTHIST 704: Introduction to Art Museum Studies II get one-on-one collection management training from the Curator, UWM Art Collection, Christa Story. 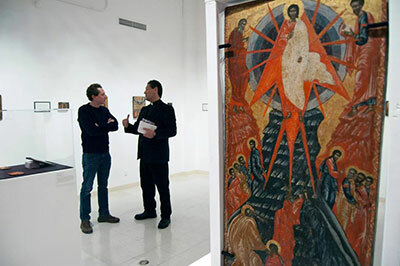 Father Angelo Artemas of the Annunciation Greek Orthodox Church gave a talk in the UWM Art History Gallery on Tuesday, March 3, 2015. 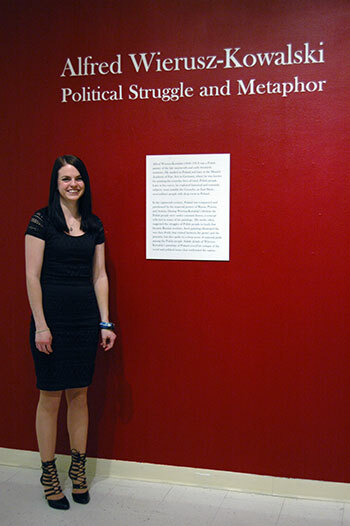 On Tuesday, March 10, 2015, the UWM Art History Gallery hosted Art Exposé. 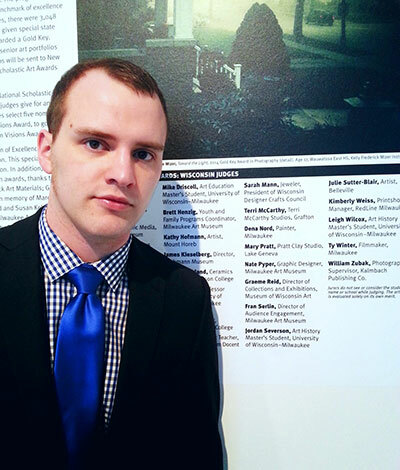 Leigh Wilcox, a third year graduate student and teaching assistant, and Jordan Severson, a third year graduate student and Advanced Opportunity Program Fellow, served as Wisconsin judges for the Annual Scholastic Art Awards Day in the Milwaukee area. 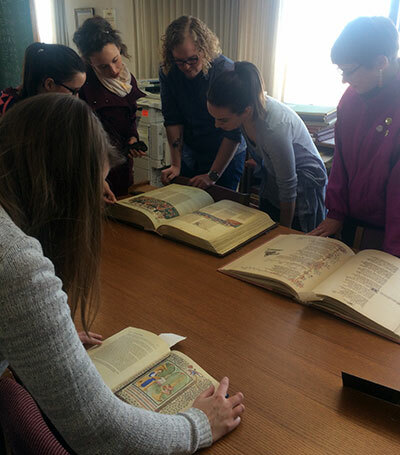 Graduate students in Richard Leson’s ARTHIST 720: Colloquium in Medieval Art and Architecture: Women and the Book visited UWM Special Collections to view medieval manuscript facsimiles as well as sixteenth and seventeenth century original manuscripts on March 2, 2015.